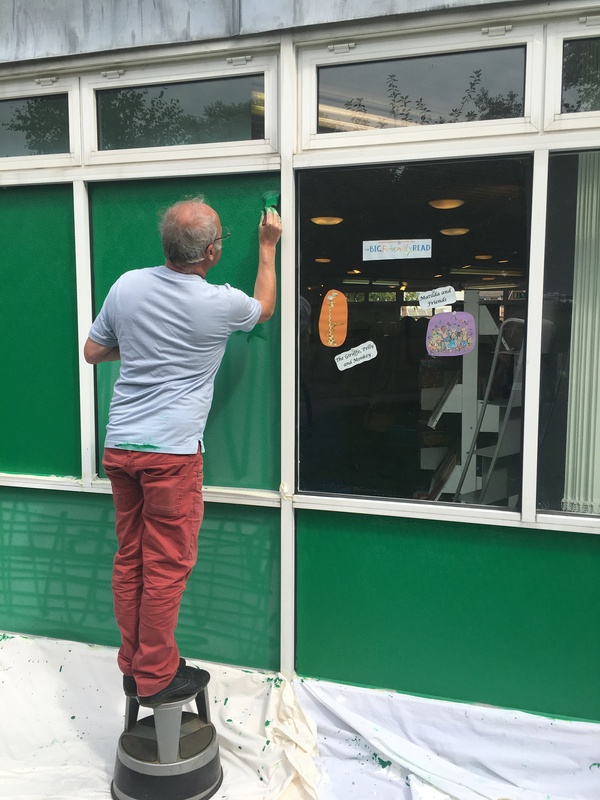 As well as the blossoming Library Community Garden, the exterior of our library is in the process of getting a brand new coat of paint to the panels around the outside – thank you to everyone who has helped out. 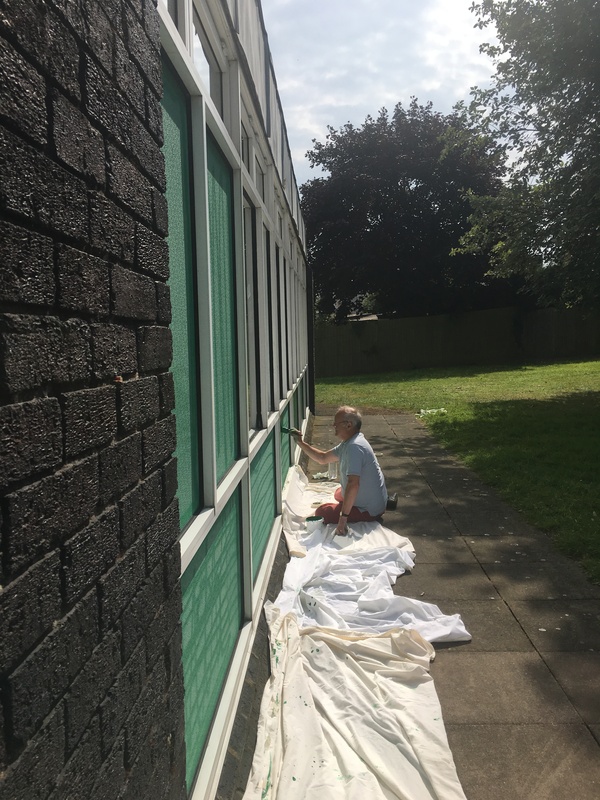 Phil (pictured below) and Lynne have also been pressure washing and cleaning all of the window frames – we think it looks brilliant. Does anyone know what is happening to Barclay’s in anstey. ?